Sarangi is a traditional folk musical instrument of Gandharva community of Kaski district.Sarangi is also found in Indian classical music but the Sarangi of Nepal has only 4 strings. Traditionally it was played by only the Gaine or Gandarva caste. Today it has found its way to more main stream Nepali music. 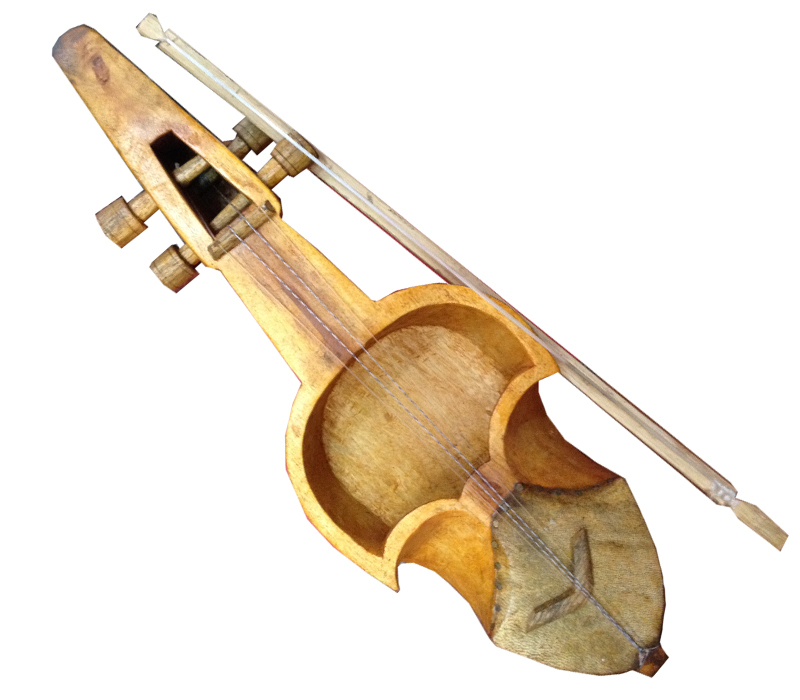 Sarangi is made from a hollowed-out wooden piece with 2 chambers. Both pieces are made from soft wood call Khiro. It is played by rubbing the strings by a bow. The string was originally made from sheep intestine. The fine nerves of the intestine was used after the external meat was rotted out to make strings. 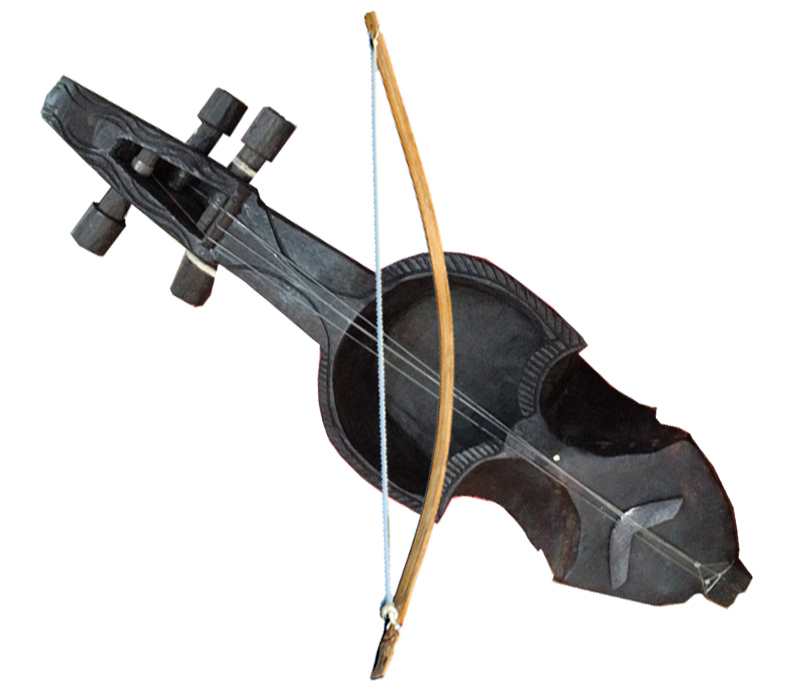 These days nylon, PVC and steel strings are also used for this purpose.The bow was traditionally strung with horse tail-hair (as used in violin bows), but in the modern day nylon bowstrings are common. The bow handle is usually made by bamboo. Different notes are made by touching the strings with the nail of fingers of the left hand.It is taken as a instrument to express emotions through music.You can see many Gaine singers singing in the streets of Kathmandu and the villages. They still sing for their daily upkeep and also sell the instruments to make a living. 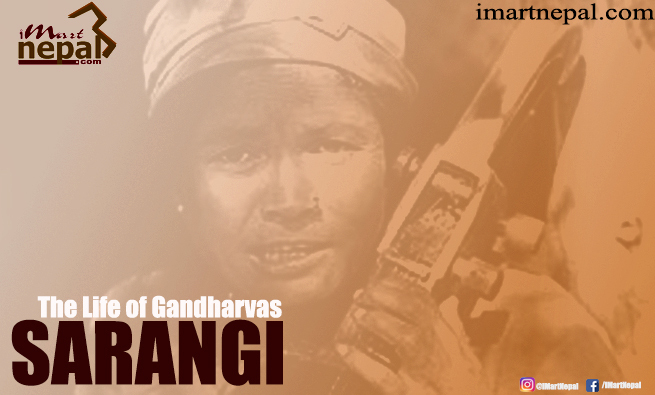 Over the centuries, the Gaine or Gandharva, a community of occupational caste musicians, functioned as the sole organised means of information and entertainment for the numerous isolated communities across the mountains of Nepal. In ancient time, the Gaine travelled from village to village, singing about everything from legendary heroes and ongoing battles to tales of what they saw on their journeys and the lives of the people they encountered on their way. In a society where access to information was considered the exclusive right of the ‘high’ caste and the wealthy, the Gaine’s function was crucial. Today, the traditional storyteller function of the Gaine has been losing relevance rapidly in the rural areas. This is already evident, with the Gaines migrating to the cities in large numbers. In the urban centres of Kathmandu and Pokhara, the Gaine now roam the tourist areas, hoping to make money by playing tunes for the tourists or selling them a Sarangi. 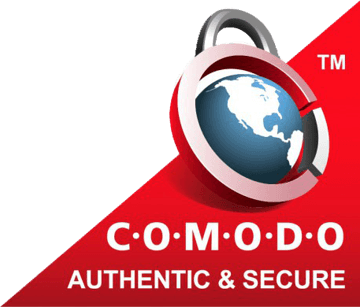 As craze of western musical instruments like Guitar, Piano, Drums etc. has been growing in the minds of younger ones, the value of folk instruments is reduced. It is the resposibility of every citizens of Nepal to save and promote the traditional musical instruments along with Sarangi. 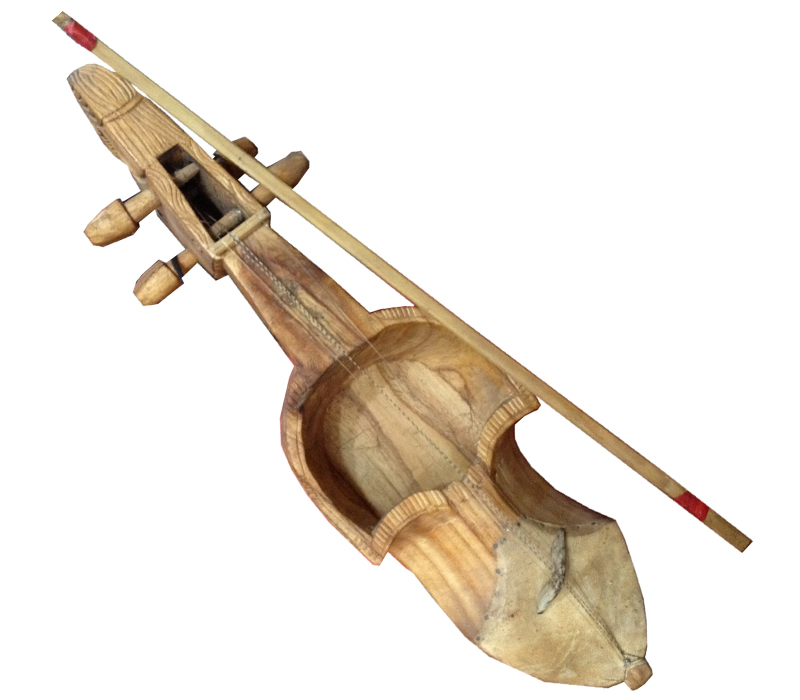 We,iMartNepalare promoting the traditional arts, handicrafts and musical instruments of Nepal through different media. If we contribute a little from our side then it will surely bring changes in the thoughts of younger ones and as a result, Nepali art and musical instruments will get reknown popularity in global community. Love Nepali Instrument, Love Nepal. 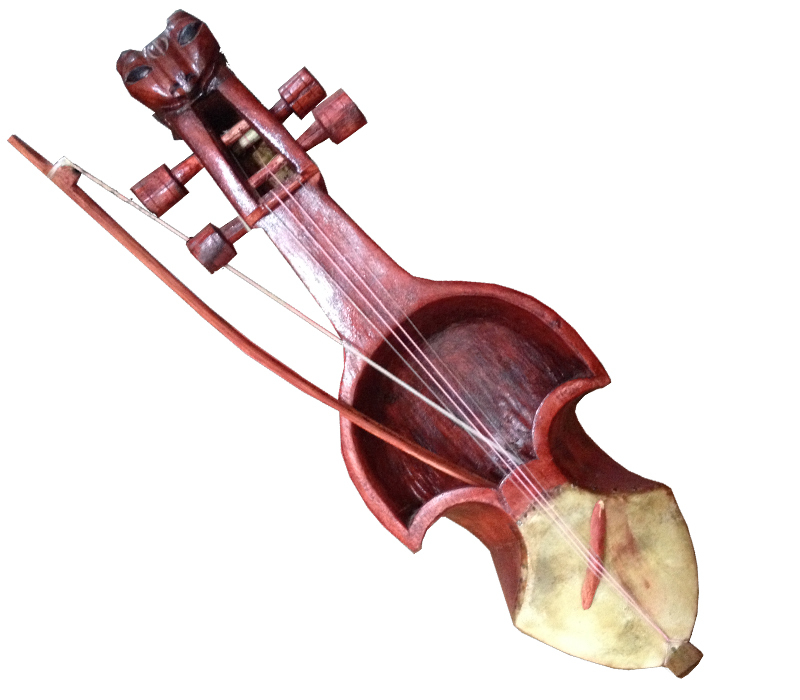 You can buy Sarangi online at iMartNepal.